What is Apple CarPlay Exactly & Does It Cost Anything? Home Auto Advice: Fresh source for today’s motorists & vehicle shoppers What is Apple CarPlay? You’ve been hearing about this Apple CarPlay lately and wondering what it’s all about. Does it cost anything? Do you need to buy and install a radio or receiver to make it work? What new vehicles include it, and is it worth it? Can older vehicles still use CarPlay? We’ll break it all down. Apple CarPlay is free and comes preinstalled in new vehicles. It integrates with the vehicle’s onboard system and accessible via the controls, usually a touch screen you find front and centre in the dash where you can view all the apps (more on that below). Working with your iPhone (non-Mac users can use Android Auto), your phone becomes a part of the vehicle, offering a safer way to use your device. Once the iPhone is connected, and while driving, users have access to all the vitals like maps for directions, making calls by accessing the contact list, listen to music stored on the device, and send and receive messages. The phone becomes a part of the car, and Siri is available onboard as well usually at the touch of a button, like on the steering wheel (depending on the vehicle layout). So it’s both convenient but also a safer option so drivers can focus on the road — not fiddling with their phones. What New Cars Come Equipped with CarPlay? We test new cars professionally here at TractionLife.com. I remember the first automaker to introduce both CarPlay and Android Auto was GM (In North America, anyway). In particular, I recall the 2015 Chevy Colorado Diesel has being one of the first vehicles to offer it, as per GM’s press conference. But today, with each new car release, we’re seeing nearly all new vehicles including both services. And those that haven’t, often tell us it’s coming in the next model year. As we see it, CarPlay isn’t a premium product like the old days of paying $3500 and upwards for the “navigation package” with the touchscreen — both Apple and Google’s product will become the norm; simply, something we just need in our lives (like our phones). Automakers understand this, hence, why majority of carmakers aren’t wasting time offering it. Nor charging extra to include it. By older vehicles, we simply mean vehicles not equipped with Apple CarPlay – so, no, your 2016 BMW is not an old car. Fortunately, you don’t need to be shopping for a new car to take advantage of CarPlay, but it’s going to cost you both money and time for the conversion. There are plenty of great aftermarket head units available hovering around the $400 range, going up to $1000 and beyond. Check out these new head units recommended by thewirecutter.com. Apps: What Can You Use? In addition to the common ones like Music and Maps, CarPlay supports others popular apps – from messaging to sports to whatever you’re into; all icons rearrangeable by accessing Settings on your phone. A bonus: automakers realized if you can’t beat them, join them so the apps they’ve developed are supported in CarPlay, so there’s less need to toggle between the iPhone and vehicle’s interface. So, no need to use the car’s map and navigation system (and wasting 30-minutes inputting a street address) when Apple Maps is right there. Honestly, that’s enough reason to connect your phone and save both time and headache. Just some of the Apple CarPlay apps ready for action. Waze is a third-party app but worth special attention here because it’s become a popular inquiry with Apple fans using CarPlay. Formerly called FreeMap Israel, Waze Mobile was acquired by Google in 2013. As the world’s largest community-based traffic navigation app that works on smartphones and tablet computers that have GPS support, many CarPlay users are looking to use the Waze app and functionality opposed to using the iPhone. This past Fall, it was officially announced Waze updated its support of iOS and CarPlay, so users can access things like maps and such via Waze instead of the iPhone version. So there you have it. While We’re At It, What is Android Auto? Google’s OS can’t be left out. Android Auto is essentially the same as CarPlay but for Android users. So you’ll almost always hear both in the same breath, as automakers roll out both systems together. Hence, new car buyers don’t choose which system they’d like; they simply get both which is great for resale and if you misplace your iPhone and your buddy busts out his new glossy Samsung Galaxy S (or whatever Android phone is cool trending these days) you’re still in business. 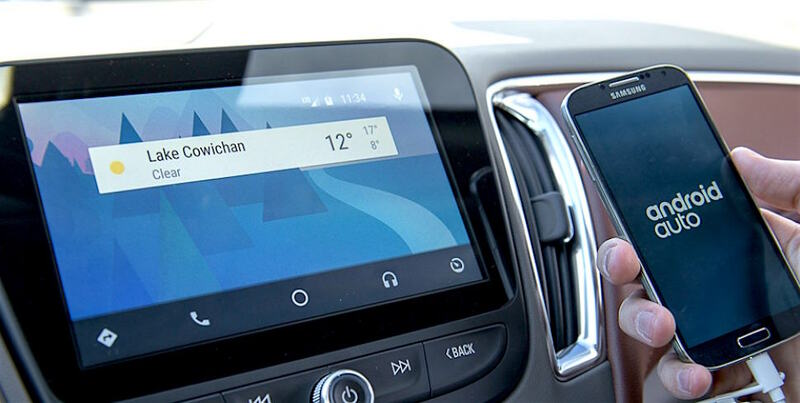 To learn more, DigitalTrends did a good piece on Android Auto here. Finally, Is Apple CarPlay Worth It? Short answer? Absolutely. Why wouldn’t it be, when you’ve got an iPhone already and simply need to connect it. And for whatever reason, if you’re not a fan, you can simply use your vehicle’s system, the old fashioned way. Overall, both CarPlay and Android Auto offer a safer option for drivers, allowing them to keep their eyes on the road. Add to that, it’s convenient to have access to all your apps integrated into the vehicle, especially when needing directions. Gone are the days of expensive navigation packages with lackluster features with often crappy onboard interfaces which to this day are remain lackluster. The CarPlay (and Auto) interfaces aren’t spectacular, but maybe that’s the point: the just work. And look similar to your phone. Plus, it’s free. No need for extra receivers or data plans. Just don’t forget your phone for the ride (we know that will never happen), sync it up and you’re good to go.